The current mayor of Paris – Bertrand Delanoë – is a living liveable city legend. While at the reins of the city for two terms, he has transformed the French capital in so many positive ways. You have to love a mayor quoted as saying, "The fact is that cars no longer have a place in the big cities of our time". 30 km/h zones, traffic calming and... the Vélib' bike sharing system are all part of his modern legacy. 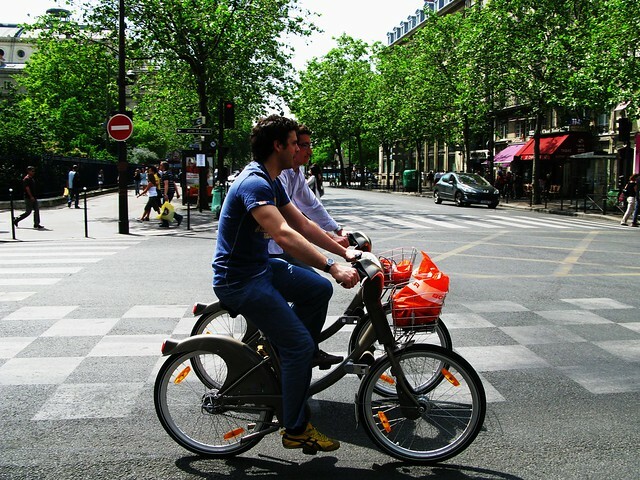 The number of bicycle users in Paris has increased since the launch of Vélib'. Delanoë, however, is stepping down after the next election. Today we're going to have a critical look at what the frontrunner for the mayoral post in the city, Anne Hildago, is proposing if elected. She is already in charge of urban planning since Delanoë was elected to his second term. She knows the ropes, so to speak. to extend the Vélib' network to the whole metropolitan area. to reduce the car speed limit to 30 km/h, excepted on the main boulevard. to double the number of bicycle users in 10 years. to double the number of bike lanes by creating a north-south lane, a lane on the Champs Elysées, a lane to reach the woods (Bois de Boulogne and Bois de Vincennes) and the cities located around Paris, a lane the circumnavigates the city, a lane along the railways, and one along the river. to set up more Vélib' stations and bike parking at museum, train stations and schools. to set up more signs and wayfinding for bicycle users. to redesign the main squares for pedestrians and bicycle users. to launch an e-Vélib' (public electric bike). All in all, her cycling agenda sticks to the further development of the existing bike share system and the creation of new bicycle infrastructure. 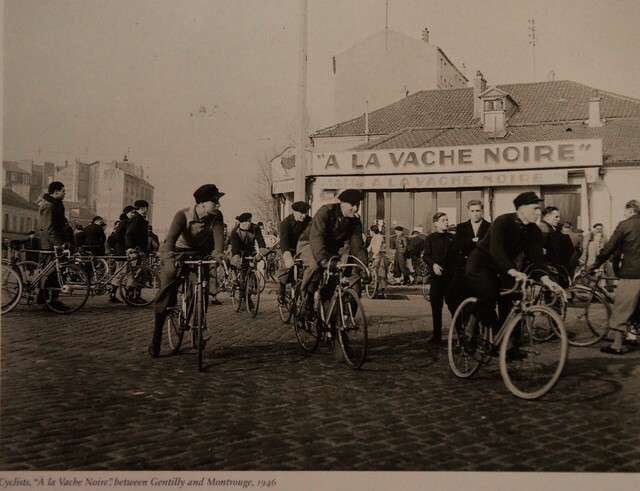 Compared to other world cities, the bicycle debate is already way ahead of the curve in Paris. We like what we read but for a city that has done so much in so little time, what about pushing it just that little bit farther? The world needs leadership. A lot of it sounds like Hildago is focusing on commuting and, perhaps, recreational cycling. What about developing a bicycle culture right there in the neighbourhoods, making space and facilities for cargo bikes, creating safe routes to school, developing bicycle streets as WELL as building bicycle superhighways? Go Paris! We want you to go one step further! We wonder, however, what KIND of infrastructure will be built? Will they be wide and well separated from the cars? Or will the bicycle users be forced to keep on sharing the lane with the buses? It's interesting to create bike lanes which go through Paris but bicycle users are more interested in reaching the office, the bakery, the school safely every day safely than knowing that Paris can be crossed from East to West. To create the right conditions for cycling, users must know that they can bike everywhere in the city safely and quickly. And what's all about an e-Vélib'? Do we really want more scooters in a densely-populated city? Cohabitation with regular bikes can be complicated? In the Netherlands, Denmark and Switzerland - from where we've seen data - accidents including e-bikes have increased. The Dutch authorities are creating a new fast cycle tracks just for e-bikes. Does Paris have enough space to create lanes for bikes AND e-bikes? We doubt it. Continuing to develop the bike share system to the whole metropolitan area is interesting. Regarding the size of the area, focusing on combining bike and train stations would seem, to us, to be a better idea. We can conclude that if Paris really wants to move closer to the paradigm shift, this agenda is fine but it's also rather mild. Where is the creativity of Hildago and of Paris? Where is the world-class infrastructure the Parisians deserve in an increasingly livable city? Does Paris want to become a truly bicycle-friendly city? Hildago's heart is in the right place, but she needs to take the bicycle more seriously as transport. It's already used by thousands of Parisian families and employees. We think a more visionary policy is required.